The San Francisco-based store and gallery Park Life sat towards the front of the hall with a pop-up shop where visitors could actually purchase items from their clever selection of books, decorative accessories, playful gifts, and art. They presented a couple pieces by Lorein Stern, a Northern California-based artist who makes ceramics, illustrations, and clothing that all illustrate animals in a lighthearted way. 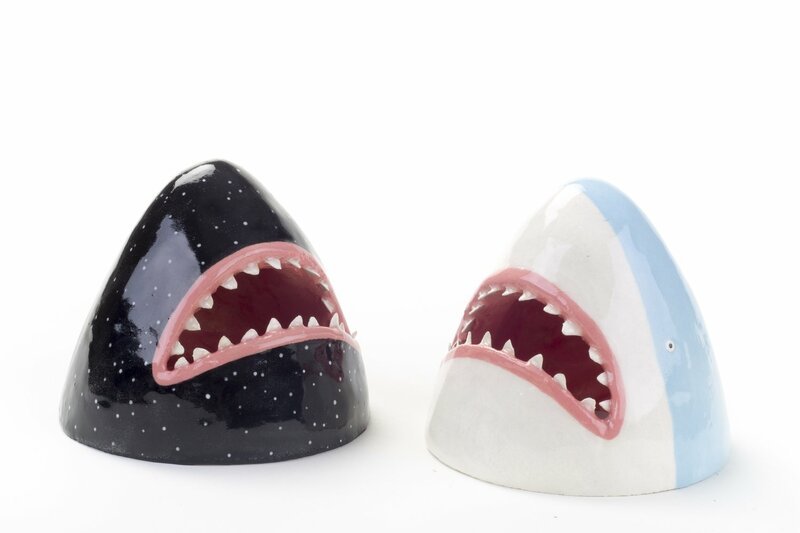 Shown here are her handmade ceramic shark heads, which can stand on a tabletop or be mounted on the wall.